The 40 Best Business Ideas for Kids - Beyond the Lemonade Stand! As a new parent, I’m constantly trying to figure out the best way to educate our little hustler about business, entrepreneurship, and money. And while he’s a few years away from the proverbial lemonade stand on the sidewalk, let me use that as inspiration for this post. I had a number of entrepreneurial ventures as a kid — some successful and some less so — but for every package of Skittles I sold and every baby I sat (OK, that sounds super weird), I was learning on small scale the basic elements of business. I asked for some help to come up with this list, so thank you to everyone who contributed their ideas! I think you’ll find something for every age level below. After all, Warren Buffett says (paraphrasing) that the age you start your first business was found to be a strong predictor of your business success later in life. Fifteen year old Ned is a sneaker mogul. Starting with a $50 purchase of a pair of Air Jordan 3s, he’s multiplied his money by buying and selling shoes locally and in different “sneakerhead” Facebook groups. He sold that pair for $100, and is on track to net $5000 in this business by the time he graduates high school. Aja McClanahan’s daughters earn up to $1000 per hour for television and voiceover acting. She’s got a Udemy course on how you can help get your kids into the industry and avoid all the predatory scams. From 1999-2005 (13-19) I was making $10-$20 a day easily selling snacks to my friends over our lunch break. The startup costs were small because I’d get a 6 pack of Mountain Dew for a couple dollars and then sell each one for $1 a piece or the price of a lunch ticket ($1.75 at the time) then use the profits from that to fund buying candy, buying my own lunch and selling the pickle slices for $0.50 each to other students. It always allowed me to have plenty of spending money on me when we went on field trips. If other students needed a loan when we were out and about I could give them a few bucks and most of them paid me back the very next day with interest. Selling candy is a popular business for kids namely because they’re so close to the target market for candy: other kids! This was definitely one I made money with at Scout camp as a kid. Mom took me to Costco before camp and I loaded with Skittles and Caramel Apple Pops to sell to the other campers. It wasn’t hard to undercut the “Trading Post” and still make a nice little profit. A friend of mine in middle school was “the gum guy.” He had a great hustle going selling sticks of gum for $0.25 each. One way to “scale up” your candy sales empire is to bring in other salespeople, and even more profitable when those salespeople are actually machines. “After hearing your episode on vending machines, my son and I bought two cheap candy vending machines,” Preston Lee told me. They’ve already found a location for one and are earning passive income from it each week. 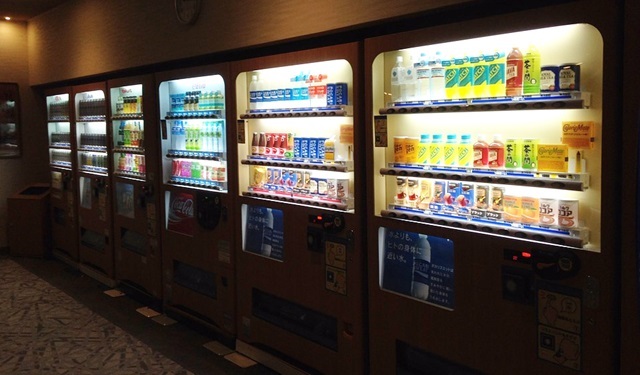 You’ve got a little more investment required in buying the equipment, and some time spent finding a place for it, but after that, vending can make money without your direct time input. Both Swagbucks and Survey Junkie allow users age 13 and up to earn money for completing short surveys and other assignments, like watching advertiser videos. In fact, Swagbucks will even give you a free $5 bonus. The payouts are relatively low, but if you’re a teenager with nothing better to do, these platforms can be a great way to earn some extra spending money. Of course you could get lawn mowing customers the old fashioned way, by wheeling your lawn mower up and down the neighborhood and knocking on doors, but that’s old school. Enter GreenPal, which is best described as Uber for lawn care. GreenPal has over 5500 vendor partners (lawn mowers and other yard care providers) in seven states throughout the county. On top of that, Bryan said the average GreenPal vendor makes around $55 per hour mowing lawns on its system. Kids can set their own hours and pick the clients they want to work for. Of course this one will depend on your geography and seasonality, but shoveling snow and clearing driveways and walkways is a definite need that kids can help with. Thanks to Julie Morgenlender of Nest Egg Chick for the tip! I only had to work for about 30 minutes every day after school. It wasn’t much, but it taught me to be disciplined, and responsible. Then I had to go door to door at the end of each month, and collect the money. This wasn’t too big of a problem. The biggest pain was the Thanksgiving newspaper, because that newspaper was the size of a dictionary with all those retail inserts promoting Christmas sales. But I vividly remember this one moment when I was in 4th grade. A book market had shown up, and you could buy neat books. All my classmates, and the other grades, went bonkers over it. And as a 10 year old, I was excited too. So I pulled out this fat wad of $1 and $5 dollar bills (probably totaling about $30), ready to spend like a baller. And I remember the other kids, staring at the cash, wide-eyed, and whispering about how much money it was. And that’s when I knew I was a hustler. Matt Burgess of British Columbia said his 4 year old daughter collected and painted seashells and then sold them at a local market for $1 apiece. When 12-year old Tony Guertin launched Tony’s Pet Sitting, he knew some customers might be apprehensive about handing over their best friend to a preteen. So what did he do? He went out and got insurance to give customers peace of mind. And then the insurance company thought it was awesome so they made a video about it. “For the past several years, my 12 year old Noah has sold on Ebay,” Michael from WorkAtHomeInspiration.com told me. Entrepreneurship runs in the family: Michael has an online business (an ecommerce store) and encourages Noah to sell online as well. As a “responsible” kid, this was one of my go-to ways of making money in my youth. I had a few regular clients and thankfully no disasters that required driving anywhere. Word of mouth and flyers in the neighborhood worked to get gigs back then, and sitters as young as 14 can join Care.com today. Get CPR and emergency preparedness training to give parents (and yourself) peace of mind. Doug Nordman’s daughter had a very positive life experience with Kumon (math & reading tutoring). She started their math program at age 7 and loved it. “The minute she turned 14, she applied for her state work permit and went part-time at the same franchise, learning about tutoring and what it takes to run a business,” Doug said. Of course kids can freelance tutor as well, especially if they’re well-versed in the subject and can find some clients a few years younger in need of a little extra help. He’s been in the poop-scooping business for two years now, and said he rakes in about $250 a week. One thing he’s done that’s super smart is to set customers up on a recurring payment plan; for $40 a month, he’ll come and clean up your yard once a week. Of course, prices vary depending on the number of dogs and how frequently you want him to stop by. Thanks to Claudia Pennington for the tip! There’s even a podcast called The Show About Science, hosted by Nate, a curious 6-year old. Thanks to Robin Chedgey for the tip on that one, whose kids sell trading cards and jam in their spare time. Amber Hinds runs the digital marketing agency, Road Warrior Creative, and volunteers teaching entrepreneurship at a local Montessori school. The school’s Entrepreneur Club includes students in 1st through 5th grades. Last year, the kids successfully started and ran two businesses through Entrepreneur Club, a greeting card/craft sales business, and a car wash.
For each business concept, the children wrote full business plans including an executive overview, budget, competitor analysis, and marketing plan. Amber indicated the startup costs for the ideas the kids have vary, but are usually under $100. “Both the greeting card business and car wash business executed last year were profitable,” she added. This one requires a little more tech savvy than many of the others, but could be a fantastic foray into the world of entrepreneurship. Tom Woods from HappyEarner.com has his 13-year old daughter Regina helping him with this business. I was around that same age when I first started building basic sites, and the tools have only gotten easier since then. Entertaining video gamers are earning serious money broadcasting their games live on Twitch.tv. Twitch streamers make money with a share of the site’s subscription fees, advertising on their channels, donations, and selling merchandise to their fans. Baseball cards were a big deal when I was growing up, and naturally so was trading and selling them among friends. Of course this works with other collectible cards and sports too. OK, I’m not from the South. Is this a thing? Jessi Fearon and her brother picked up pinecones in our neighbors’ yard every summer and fall for a nickel a pinecone. Nick explained how his mom helped him understand how to pay for the ingredients with the revenue, but was kind enough to let him keep all of the profit. “I also learned the valuable skill of baking,” he added. Every now and then you hear these stories of kids with super profitable YouTube channels, like this guy (with the help of his parents) who’s raking in an estimated $36,000 per day. At press time, this ONE video of Ryan’s has over 600 million views. That’s nuts! If your little one has a funny personality, it might make sense to point the camera at them at let them turn on the charm while they play with toys or video games. Julie Dye of Oklahoma City shared this story in the Side Hustle Nation Facebook group. We had coffeeshop! My 10 year old daughter makes the coffee, provides cream, and sells free pastries from a community food reclamation project. Everything is $1. We invite a bunch of people over to our house on Facebook, and she serves everyone on the porch. She has a tip jar and Kids Club with free fruit (like Whole Foods). She and her 6 year old friend run the whole thing, including cleanup. Her helper gets $7 per session (for about 3 hours). She keeps a ledger of expenses and has to pay us back for the coffee. I require her to put a certain percentage in her savings account, a certain amount goes toward the coffee and cream, and the rest she is free to spend as she wishes. She enjoys drawing and making art, so this is a very low-entry way for her to get involved with entrepreneurship. She has expressed interest in other ways to make money, such as having a yard sale or selling her old toys or clothes she has outgrown. At this stage, she is a little young to fully understand the concept of startup capital, or needing money to make money. So in many ways this has been a fun learning experience for her and for me. I am doing my best to encourage this line of thinking and I hope she continues looking for creative ways to earn money. It’s a great life skill to have. In addition to the classic lemonade stand, Rachel Hernandez put on puppet shows for the neighborhood. Teresa Mears of LivingontheCheap.com taught piano from ages 13 to 16, adding that it paid double the minimum wage at the time. Erin Lowry, founder of BrokeMillennial.com, learned a couple important entrepreneurial lessons early on. During her mom’s garage sale, she and her sister set out a tiny Fisher-Price table with 2 dozen Krispy Kreme donuts. She charged $0.50 apiece and it wasn’t long before they were completely sold out. That was lesson #1: Set up shop where your target customers already are. Clutching her $12 in coins in her teal fanny pack, and imagining all the awesome toys she was going to buy at Toys ‘R Us, her dad had some bad news for her. He claimed $3 as reimbursement for supplying the donut inventory, and $2 for Erin’s sister’s “help” that morning, leaving her with a profit of $7. That was lesson #2: Revenue does not equal profit. This story comes from Tiffany over at EarnLikeAGirl.com. For any horse loving kid, working at a barn is a great way to teach them responsibility. When I was 10, my mother bought me a horse but told me I had to work to earn her boarding costs. Every weekend I was dropped off at the barn at 7am to muck stalls, clean water buckets, feed, turn out, blanket, etc. Not only did I develop amazing biceps from all that stall mucking, it really taught me the value of hard work and that you CAN have what you want, but in order to keep it you must work hard and be accountable. Greatest lesson ever! Barns are always looking for help and usually can be very flexible on offering discounted lessons or board in exchange for barn help. If technology is second nature to your little one, building a website around their favorite show or hobby could actually be a lucrative endeavor. This was another suggestion from Priest over at AffiliateMission. He indicated his daughter would do this for popular movies like The Hunger Games and earn money promoting merchandise as an affiliate. Kids have the advantage of being closer to the trends and fads going around their school, and could use that “inside” information to build a profitable website. Does your state have a “bottle bill”? Here in California and in 9 other states across the country, empty aluminum cans and plastic and glass bottles are worth $0.05-0.10 apiece. The second option is a little cleaner, and involves asking your neighbors to separate their recyclable bottles and cans each week so you can go pick them up and cash in. We used to do this for our neighbors and it was an easy way to support their entrepreneurial spirit. With Merch by Amazon, Zazzle, Redbubble, Cafepress, Spreadshirt, and other outlets, your little one can get their creative t-shirt designs in front of a huge audience. These services handle all the printing and shipping; all you have to do is come up with a design that will sell. In Duluth, Minnesota, 12-year old Milo Amundsen sold advertising on the back of his bike. Since the two-wheeler is his main form of transportation around town, he figured it would be great exposure for local businesses. He sold several spots for $10 apiece to a dance studio, a Montessori school, a design firm, and others. Head on over to Etsy.com to get some inspiration for what kinds of homemade designs are hot right now and you’ll be in business. LeiLei Secor, a teenager in upstate New York earned $100,000 selling jewelry on the site in just 3 years. I met one Etsy seller (an adult) who’s turned her penchant for wine-themed wedding decor into a growing ecommerce empire. Standout student athletes can turn their off-season weekends into profitable practice sessions. All you need is a park (or a pool or a court) to run your drills or scrimmages. As I kid, I attended several different sports camps so this one has the advantage of being something you know parents are already spending money on. Every time I walk across the overpass from the train to the Oakland Coliseum, there are dozens of enterprising people waiting to sell me hats, shirts, bottles of water, and other merchandise. I think there’s an opportunity to do the same, or maybe even make bracelets in the team’s colors and sell those. If your child has a green thumb, a bumper crop from a backyard garden could be a great first business venture. You could set up a little mini “farmer’s market” in the driveway and sell to your neighbors. I mean, you’re not really going to eat all that zucchini, right? You can start by looking around the house for books you probably won’t read again (and if you want to, there’s always the library). After that source is exhausted, turn to local garage sales, yard sales, estate sales, the library bookstore, and thrift stores to find more inventory. You can use apps like Bookscouter to see which titles are worth something and then sell them on Amazon or eBay. This was another one of my childhood business ventures. We’d raid the freezer and set up shop with a card table and a cooler at the end of the driveway. What are the best business ideas your kids have come up with? Let me know in the comments below! Stock photos by paulaphoto and Monkey Business Images via Shutterstock. Well these business ideas are quite unique and seems like those who want their kids to start making money then I’d say this is the perfect post. Thanks so much Nick for including me. I love all these ideas. It’s so important to teach the value of earning money from a young age. It’s great to see you already thinking about teaching this to your son. Great list of ideas. My first money maker was when I was about 12 years old. I learned how to macrame and sold handmade plant hangers or wall hangings. My mom sold them in her hair salon lobby for me. This is really neat, Katharine! My daughter gets $5/mo from each of 6 neighbors for dealing with their garbage/recycling/yard waste each week. She puts the receptacles out the night before trash day, then puts them away after pickup. So that’s $30/mo for an 8 year old for about 1 hour of work a month! That’s a pretty good hourly rate! My boys 6 and 9 have created “Dunkeld Happy Hens”. We sell eggs to their teachers and to travelers in our local Caravan Park. We are also growing chickens and turkeys and aim to start selling these. Check us out and like us :-))) we have created a Facebook Page “Dunkeld Free Range Poultry, Eggs and Happy Hens” and soon a web page. For several summers had a job as a Package Labeler. My dad landed the job, then immediately “outsourced” the task to my brother and me. For months we accepted shipments of thousands of desk organizing trays and placed red stickers on them with the product description and barcode. This was long before there were machines that could handle this task. I have no idea how much my father earned but he paid us $5/week. I thought I was rich! As a kid in Ohio we used to hustle “pop” bottles for the returnable refunds and “tax stamps”. Man am I ever old! Great ideas for kids here (and even adults). When I was a kid I sold everything: fabric hair ties (scrunchies), friendship bracelets I made with my mom’s leftover thread, proofreading/editing English papers, chocolate bars, crocheting hats and scarves, and even helping my older sibling with Herbalife and Avon. I never realized how much that influenced me as an adult. Funny, now my hustles include freelance writing, meal prepping, and nutrition coaching. As for my kids, they’re busy working on funny books for kids, teaching dance and singing, and creating art. Nick, Thanks for including Noah’s eBay business. I also enjoyed reading the side hustles that other kids are doing. Lots of fun ideas you collected, Nick! Last spring I took 7 of my (youngish) kids to rake a lawn, and with such a crew we had his *massive* and leaf filled yard raked in less than two hrs. (42 bags worth) He was thrilled it was all done so quickly, and the kids then raked in $75. Copper and aluminum has been a lucrative kid hustle and my older ones have cashed in on that as well. Helping with working a booth at the local farmers market has been another hustle. Puppy care/sitting for family members. Selling homemade, whole wheat bread. And to be honest, I’ve had to say “no” to job offers for the kids in order to keep our regular life routine on track. Ha! There is so much work out there for those willing to do it. “Worms” from bait to castings worms are solid gold, also Mantis case collecting is great for kids. This is a great list! I would add selling used toys on ebay, Amazon, and craigslist. It’s a good way to make money and get rid of old toys they don’t use anymore! Omg I’m a 11 year old kid and this is just amazing! I was writing notes for this summer to get money! Thank you so much! It helps! Me and my friends have been thinking about a lemonade stand but now that I seen this we could do much more than a lemonade stand! When I was 12 I had a cake business. My mother enrolled me in a Wilton cake decorating class at the local bakery and I started selling small decorated cakes to my classmates. I made the most money on Valentine’s day with little heart shaped cakes. Thanks for the Ideas, I suggest everyone sell used books online, I earned decent money from that business, Keep doing this great work and keep sharing with us. When I was in high school, I would sell blow pops. I would go to BJ’s and buy the 100 count box for about $13. I would sell them for $.25 each. So for a $13 box, I would make $25. But then I realized that everyone wanted Watermelon flavor the most. So I kept the watermelon separate and charged $.50 for the watermelon. So that added a couple bucks more a batch. It got to the point where I had regular customers that bought 2 or 3 daily. Some cool teachers even gave me like a min or two to “handle business before class” I gave them an occasional kickback for their time. I sold a box of 100, maybe every 3 or 4 days. Until the school cracked down on me, because school clubs were selling candy too. Shut down by the man. So I did it before and after school. I also did a sneaky thing in conjunction with the blow pops biz, I used to save my lunch money every day and eat after school when I got home. I am 10 years old and I like melting down chocolates and pouring them into candy molds and thought about selling them. I’m currently in middle school and me and my friend are planning to go to Rome, Italy. The trip costs around 3,000 dollars which is a lot for a 11 year old to pay for. Me and my friend are starting small businesses around town to help our parents pay for the trip and to give back for what they do for us. Great List!